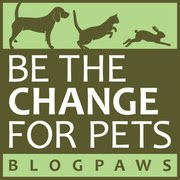 The beautiful month of November is certainly a grand month for celebrations, but let's not forget it's also Adopt A Senior Pet Month, thanks to Petfinder.com. 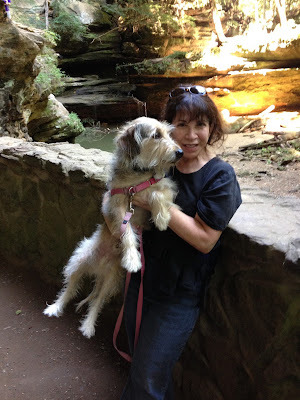 And extra kudos go to the BlogPaws team for sharing and celebrating this month! It's been nearly 80 warm degrees the last few days, and parental Unit and I have been enjoying the last of the warm weather. In full disclosure: this is a photo from last year, but rest assured, we're taking off for the woods as often as possible! 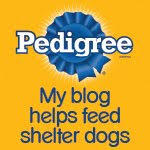 Now on to the BlogPaws Wordless Wednesday Pet Blogger Hop to visit our blogging friends!